There are some really great ATV trails located around town. Many people walk on these trials, please be respectful to pedestrians. There are also plenty of trails you can follow along the highway that can lead you to many of our beautiful Discover destinations. There are lots of trails around town to snowmobile – just be cautious of pedestrians as a lot of people snowshoe and ski around these trails too. You can also take the trails that run parallel to the highway. They can lead you to many of our Discover destinations as well! Monkman RV Campground is within walking distance of downtown and open all year round! The park includes 55 full-serviced lots with electrical outlets and sewer hook-ups as well as 13 serviced lots during the winter. Also includes laundry facilities, coin showers, picnic tables and playground. Sani-Dump also located just past the park. Fees do apply. Or, you could travel 2.6 kilometers out of town on HWY 29N to Flatbed Swimming Hole and Campground. There are many scenic trails that lead you all around town! Great for snowshoeing as well! Many events take place around town, like our Winter Carnival, Pumpkin Patch, Fishing Derby - just to name a few!! Check out our Event Calendar to see what indoor/outdoor activities are happening while you are here! Enjoy a refreshing bike ride through many of our beautiful marked wooded trails, or just peddle around town! 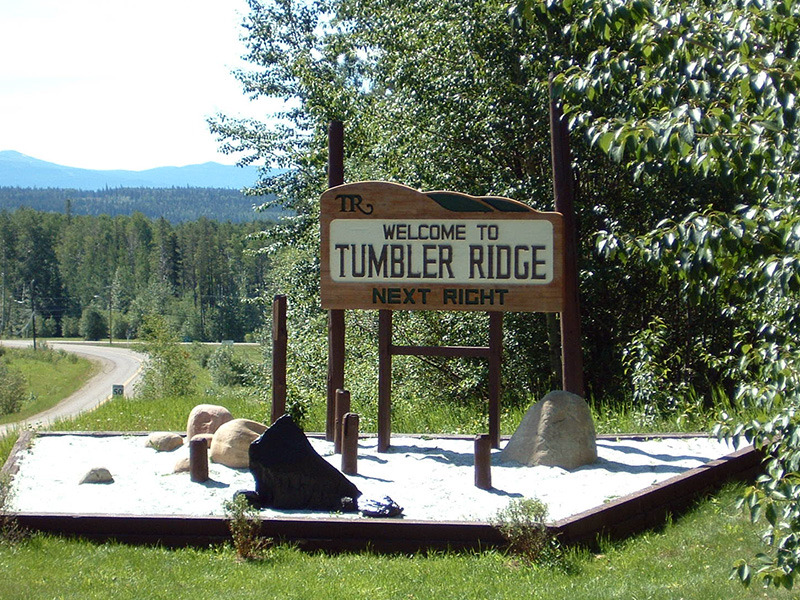 Stay tuned as the newly formed Tumbler Ridge Mountain Bike Association (TRMBA) works to develop more trails and a pump track!